We were not that impressed with the Quinny Buzz Xtra that failed to score above average in any metric. This stroller looks like many of the newer products on the market, but somehow it fails to bring all the same convenience and ease of use to the table that we found in some of the competition. This stroller is a below average stroller for an above average price. We had higher hopes for this product than it offered in our tests. We feel this stroller is not one that most parents will like as there are options that scored higher and cost less. Nicolaas (Nick) Quint launched a baby gear company in 1950 in The Hague Netherlands. This was the beginning of the Quinny line. He started with wood playpens and in 1989 they introduced their first strollers and buggies. Quinny's innovative designs and unique features inspired the stroller market. Quinny continues to create unique options for urban life with sharp looks and different folds. The comparison chart shown below shows the overall scores for each stroller tested in this review including the Quinny Buzz Xtra (in blue). The sections below offer detailed information on how the Buzz performed during our tests. The Buzz Xtra scored a 3 of 10 for ease of use, which is the lowest score in the group. The Quinny is a two-handed fold (above left), that doesn't self-stand or offer a carry strap, which is really a shame given the larger size. There are 2 steps and it has an auto-lock (above right) feature which is nice, but not enough to make up for the rest. The unfold is a one-handed operation that requires only 2 steps and is very easy. The brakes on the Quinny have individual pedals for setting and releasing. The Quinny has single action brakes that are easy to set and release, and are sandal foot friendly. The brakes are stiffer to set than some of the competition, but they are sturdy and we felt confident the brakes are set after applied. The Quinny has a medium sized under seat storage bin that can hold up to 11 lbs. This bin is accessible from the side and the front, but not the back. The basket height is low thanks to a frame bar that runs across the center of the basket. We had difficulty fitting a small sized diaper bag in. Ease of access is only average on this stroller. The sunshade on the Buzz is only medium in size and it doesn't list its SPF. It does not offer a peek-a-boo window, but it does have some ventilation. The Buzz has a limited number of adjustment possiblities. The Quinny has a 5-point harness that is more difficult to adjust equally so for putting on and taking off. The harness itself is difficult to adjust and the shoulder straps are sewn in place and not adjustable at all. 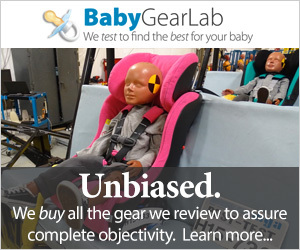 It lacks a crotch strap so you might not be able to get the best fit for baby given the limitation of adjustments. The Quinny also has a buckle that is hard to use. The buckle nests requiring the two sides to be put together before inserting in the buckle. The buckle release button is stiff and you might have trouble operating it with one hand. The recline on the Buzz looks to be almost flat. The Quinny has a padded leg rest with a wide plastic footrest both of which are adjustable. The seat back reclines and has two separate recline buttons that must be pressed at the same time. We think some parents might have difficulty adjusting the recline from behind when the canopy is folded the seat back doesn't easily fit through the frame to recline. The Quinny Buzz comes standard with Xtra adapters that work with Maxi Cosi car seats. We tested it with a Maxi Cosi Mico Max. The adapters click in easily after you remove the toddler seat (and canopy) and there is no assembly required. The seat is easy to install but has some finger catching concerns when you remove it. It doesn't feel stable compared to other combinations. The photos above show a close up of the Xtra with the Maxi adapters (left) that come standard and the Chicco adapter frame (right). Parents can purchase an additional car seat adapter frame that works with Safety 1st Onboard series, Maxi-Cosi Cosi35, Graco Snugride 22, Graco Snugride 32, Graco Snugride 35, Chicco Keyfit 22, Keyfit 30, Combi Shuttle 33, Peg Perego Primo Viaggio 30-30, and the Britax Chaperone. The adapters are not compatible with Safety 1st onboard 22 or Graco Snugride Click Connect car seats. The Chicco does not feel that stable on the Quinny, and we feel there is potential for finger injury when removing the seat from the frame. We tested the adapter frame with the Chicco Keyfit 30. Connecting the seat to the adapter is easy, but we had trouble getting it installed completely each time. If the car seat is tipped too far back when you install it, it sounds like it is clicking in, but it isn't. We suggest paying close attention, going slow, and double checking by tugging firmly on the infant seat to ensure a strong attachment. You will need to be careful of your fingers as they can get caught in the adapter and an injury is a real possibility. The Buzz earned a 4 of 10 for ease of setup. It took us over 11 minutes to get the stroller ready to use. The documentation that comes with the stroller is only average, and we had trouble following the directions. This stroller took longer to put together than we thought it would. The swivel front wheel on the Buzz can be locked in place for better maneuverability over rough terrain. The Quinny earned a 5 of 10 for maneuverability. This stroller is harder to stop turning making it feel a little like a runaway train. Its smaller footprint makes it easier to get around smaller spaces, but the frame flexes when you push it. This stroller is hard to push with one hand and even with two hands it is not easy to turn quickly, but the shorter wheelbase makes it somewhat easier to turn sharply. It fits through smaller spaces, but we still struggled to turn and move it across various terrain. This doesn't say much for the claim that this is an all-terrain stroller. Plush carpet is a challenge for this stroller indicating that a trail or gravel road might not be worth the hassle. For turning off flat surfaces onto rougher terrain, the Quinny rolls relatively well, but it will take a little more strength and the double front wheels catch on gravel so badly that we almost tipped the stroller over more than once during testing. The folded Buzz is neither the smallest or the lightest option in the group. The Buzz Xtra weighs about 28 lbs. The lightest is the Britax B-Agile 3 and the Baby Jogger City Mini, with both weighing about 17.5 lbs. The folded size of this stroller is not impressive. Folded it is over 17,100 cubic inches. So the combined size and weight of this stroller make it a challenging choice for a commute around town. The Quinny did not score well for quality. The Quinny scored a 6 of 10 for quality; its highest score in any metric we tested. However, this score is still lower than average with several other strollers scoring higher. The Buzz has some of the softest fabric in the group made better with its ability to repel water that practically wipes clean with a damp cloth. The canopy, crotch pad, and shoulder pads are all made from a rough canvas that seems more sturdy than the seat fabric. The storage basket is the same canvas and the footrest is a piece of hard plastic. The frame on the Xtra looks nice at first blush, but it has far too much movement and rattle when in use, making it clear that it has too many junction points. The fabric does fit the frame nicely, but it would have been nice to see a higher quality frame with less flex and noise. This stroller has plastic foam filled wheels that can never go flat but fail to impress. They look nice, but this kind of wheel isn't the best for all-terrain travel further calling into question the Quinny all terrain claim. Pneumatic air-filled rubber tires are by far the better option for a smooth ride on rough surfaces. Thanks in part to a frumpy looking canopy and a convoluted frame, this product is reminiscent of a red marshmallow in its overall fit and finish. While it certainly isn't the most disappointing, with a closer look it's disappointing for the price range. The handlebar on the Quinny is adjustable with the telescoping design, which we prefered. The handlebar on this stroller is somewhat adjustable and the feel is about average. We did like the shape and feel, as well as the smooth transition between the padded handle and the hard plastic centerpiece where the handle release button is. The Quinny has nice suspension on all 4 wheels and it has a nicely padded seat that seems to provide a comfortable riding experience. The larger rear wheels also help create a nicer ride overall, but we think the experience would be improved with rubber tires. Amazon $399.99 - 33% off!